They come with our famous security code. Made of durable PVC including a metal eyelet and metal security loop. Extremely strong they are designed to last many years. 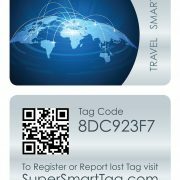 These unique tags are ultra glossy, the neutral travel design looks superb and make your luggage stand out from the crowd. Ideal for your carry-on luggage. Easily identify your bags at the carousel while protecting your privacy. These tags will greatly reduce the chance of someone taking your bags by mistake and are designed not to fall off like paper tags so often do. 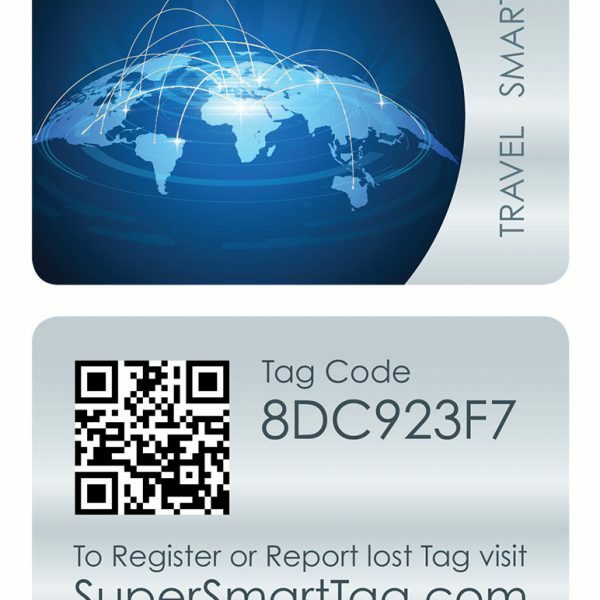 Each Tag includes 12 months global coverage from date of registration. This unique product is not available in store. All prices are in U.S. Dollars. 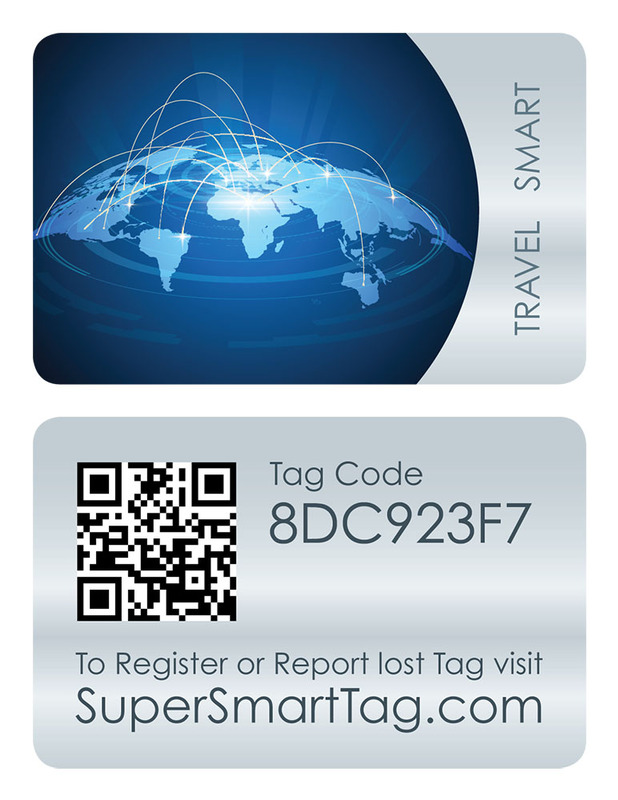 The SuperSmartTag itinerary feature makes it possible for air carriers to send your lost items directly to your hotel. 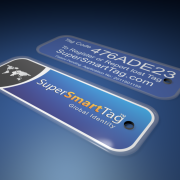 The unique SuperSmartTag code which is found on the back of every tag, protects your privacy. Dimensions: 8.5cm x 5.4cm credit card size.